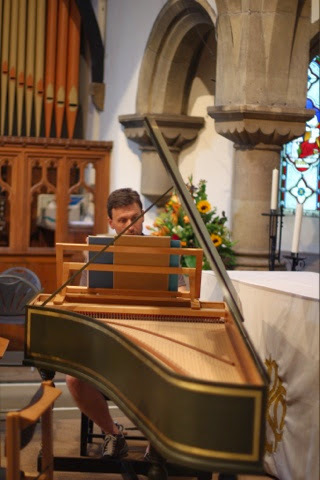 On Saturday 19th of July 2014, I travelled to Sowerby, near Thirsk in North Yorkshire, to play for 'Sowerby Music' with the ensemble 'Passacaglia'. 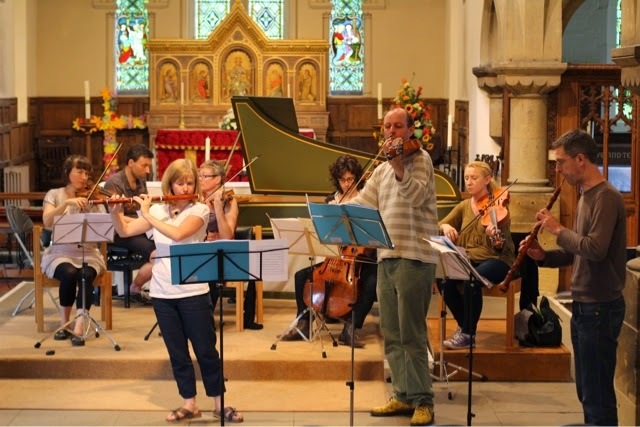 The London-based ensemble gave the final concert of the season for Sowerby Music. 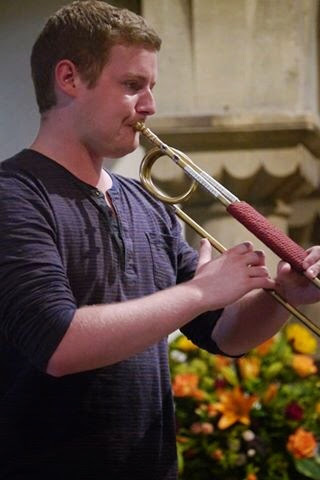 The organisers described the event as "an unashamedly celebratory concert", which combined a birthday celebration of one of the organisers and the remarkable milestone of Sowerby Music's 300th concert. The programme, for me, involved Bach's Brandenburg Concerto No.2 in F Major (BWV 1047), Handel's Eternal Source of Light Divine and Bach's Jauchzett Gott in Allen Landen (BWV 51). The soprano was Faye Newton. 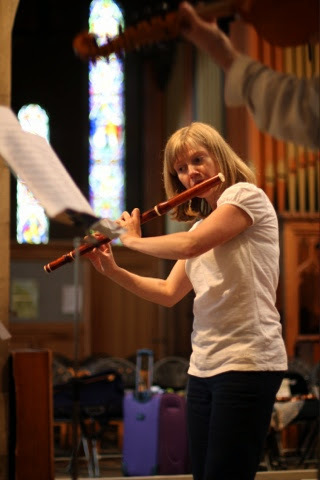 Mark Baigent, Annabel Knight and Oliver Webber played Oboe, Recorder and Violin (respectively). The programme was exciting and well-designed and it was warmly received by a full audience at St. Oswald's Church in Sowerby. 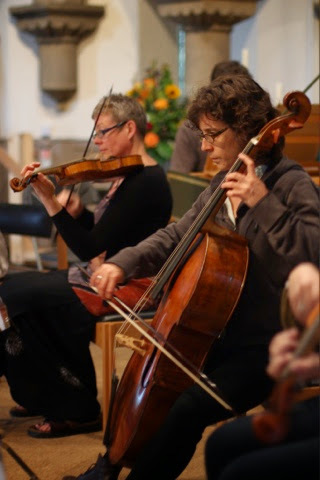 I really enjoyed working with Passacaglia. 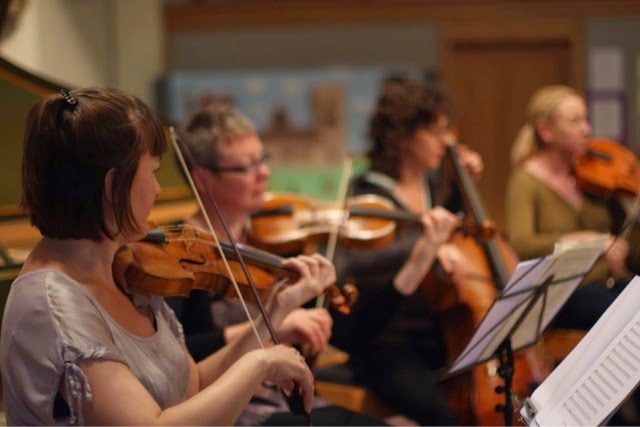 The group consists of exceptional musicians who are dedicated specialists. It was wonderful to work with these informed players; we had some interesting discussions about the finer points of performance practice and some players had copies of the original manuscripts to hand to provide evidence. An interesting discussion was never far away, and that shows the attention to detail and care that these musicans have for their art. It is also a sociable and fun group to work for. The music-making was really enjoyable! We were very well looked after by Sowerby Music, with an amazing array of food (especially considering the range of the group's dietary requirements!) and we enjoyed their wonderful Yorkshire hospitality. Many thanks and congratulations to Sowerby Music for an excellent event and a remarkable milestone reached! 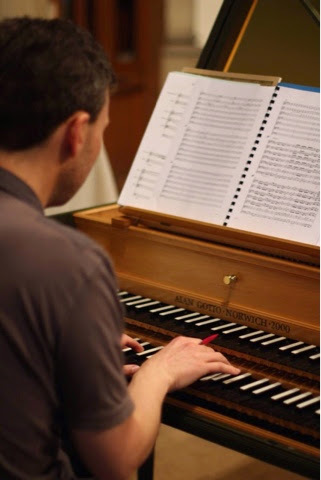 I took some photos as Passacaglia rehearsed, and Robin (Harpsichordist) also brought a camera. The photo of me on this page was taken by him.